The address in 1871 census is at Star lane, probably at 13 Star lane. 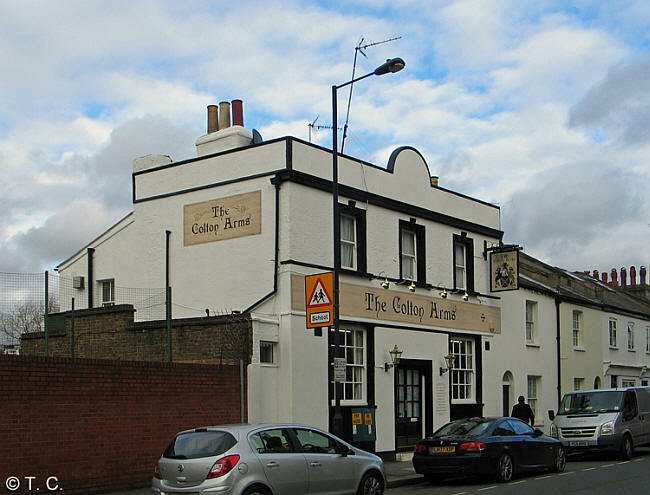 A listing of historical London public houses, Taverns, Inns, Beer Houses and Hotels in Fulham, London. 1934/Mary Page of 187 Greyhound road Fulham Middlesex widow died 23 August 1934 Probate London 24 September to William Roylance beerhouse keepers manager. Effects £1867 15s 4d.